Kaleb Tarczewski will be out for six weeks due to needed thumb surgery and Alen Omic will take his place instead. 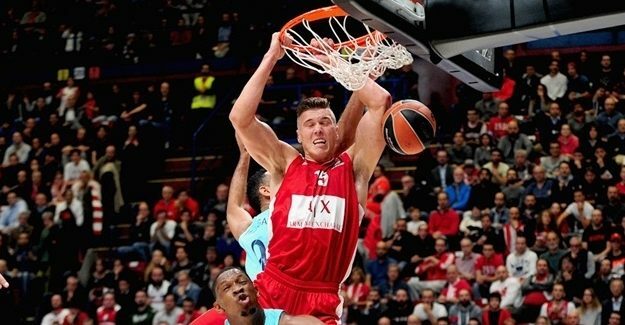 Olimpia Milano announced that Kaleb Tarczewski will undergo surgery in order to repair the lesion he suffered at the right thumb during the clash with Maccabi. The club also confirmed the signing of Alen Omic who signed for the remainder of the season and will take over Tarczewski’s role in the roster. Omic averaged 8.9 points, 4.7 rebounds and 1.1 assists in EuroLeague so far, and his first game as Milano player will be against none other than his former club Buducnost Voli in EuroLeague Round 16.